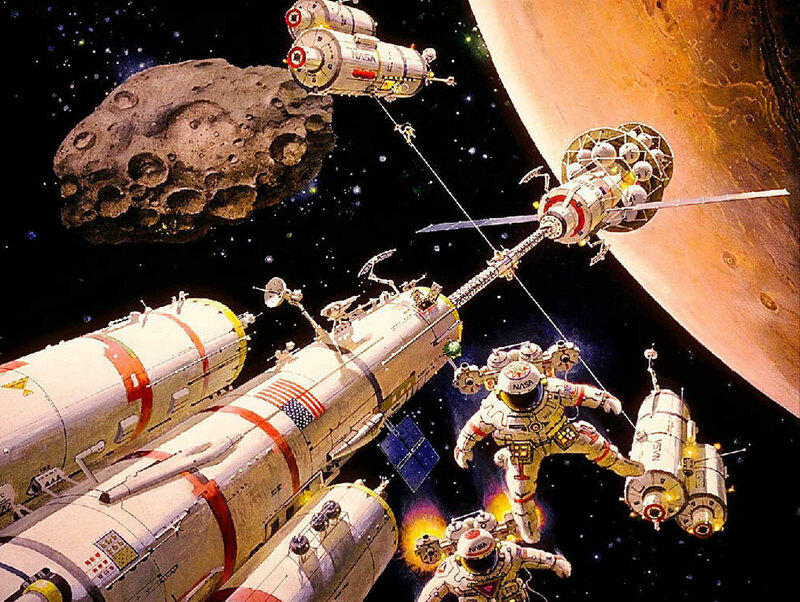 Robert McCall’s paintings do not merely adorn studios, galleries, private offices, museums, and homes. 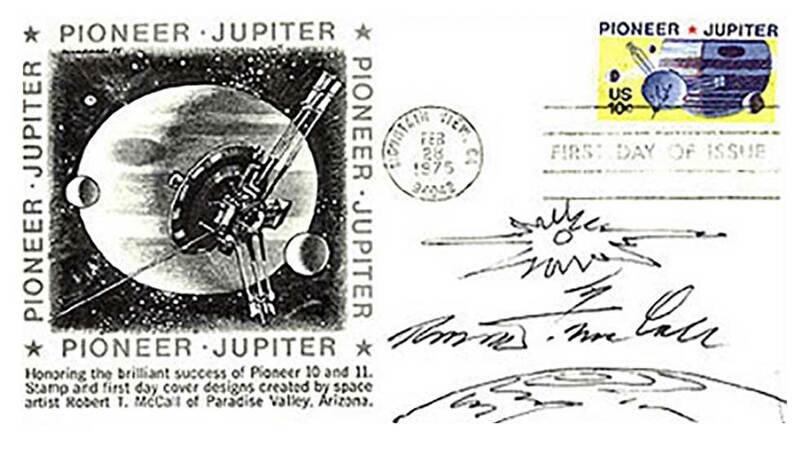 He works from the very large to the very small, from giant murals to mission emblems worn by astronauts to tiny postage stamps. 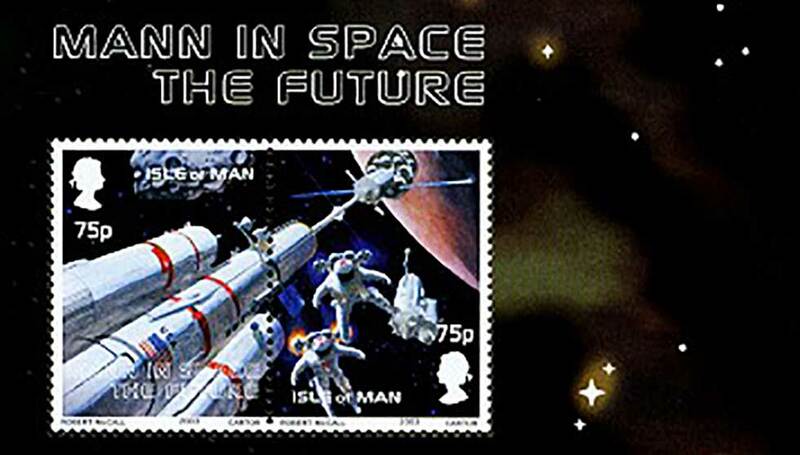 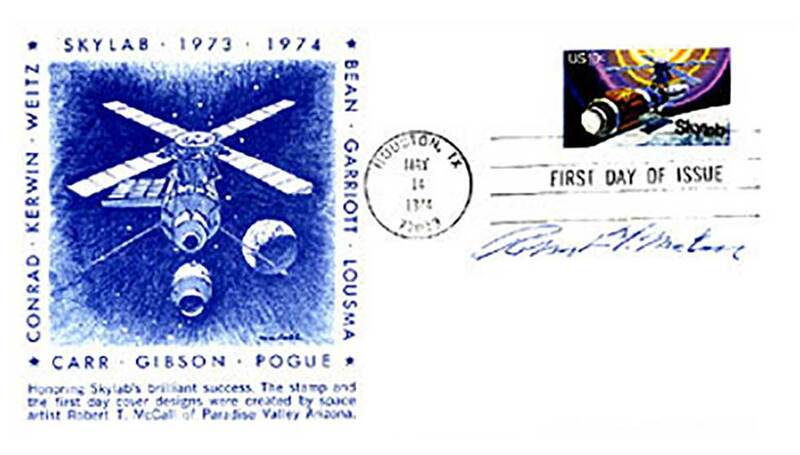 McCall’s first work for the Postal Service began in 1971, when he created the Decade of Achievement twin stamp that was scheduled to fly to the Moon on Apollo 15 (NASA’s lunar sample in the main gallery is from the same mission). 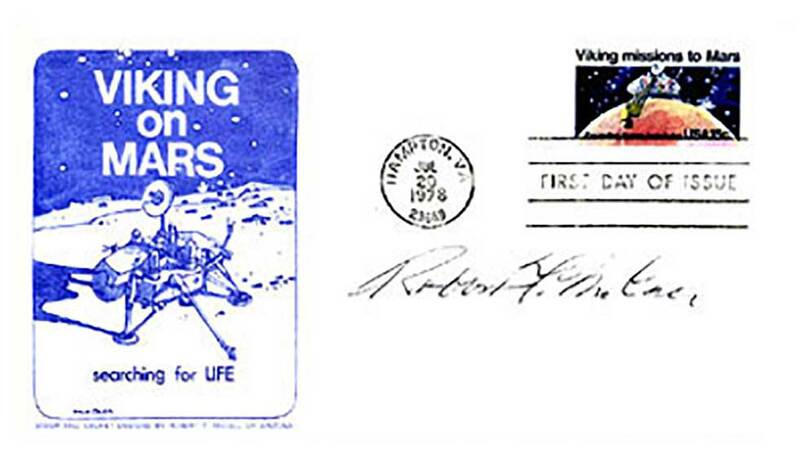 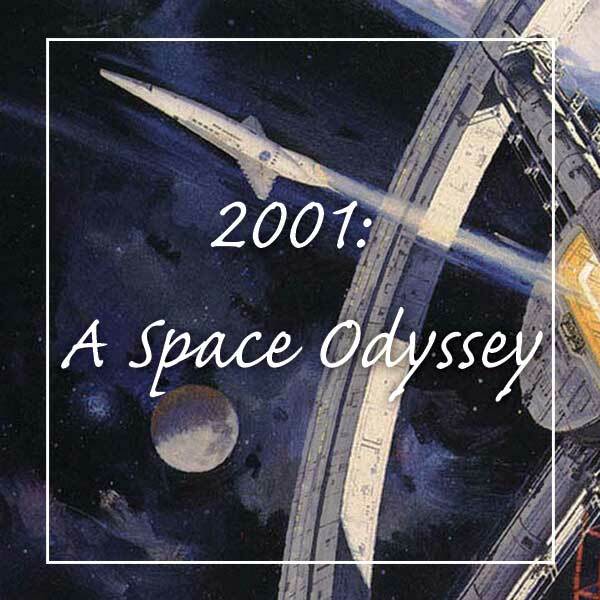 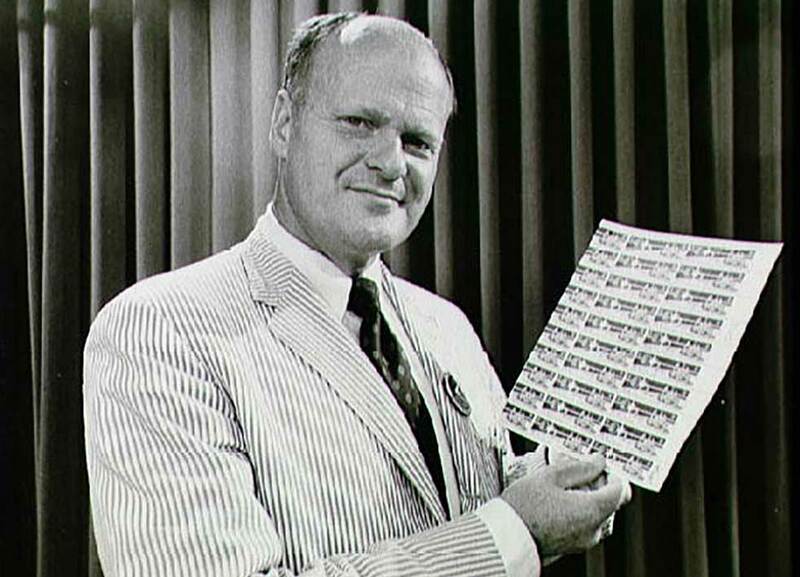 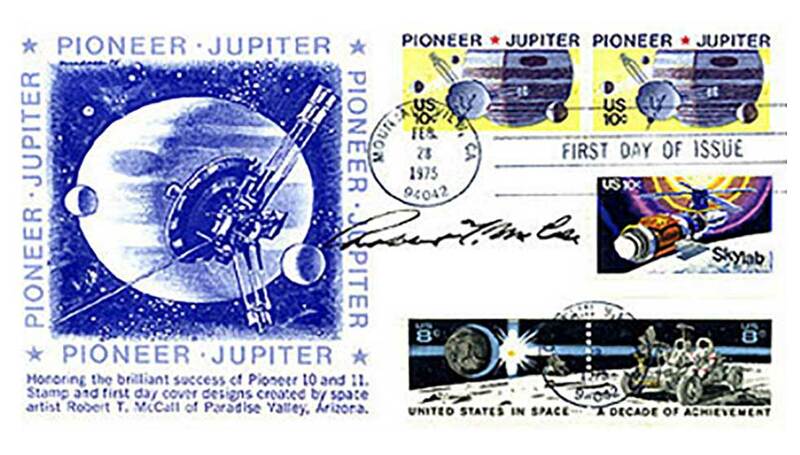 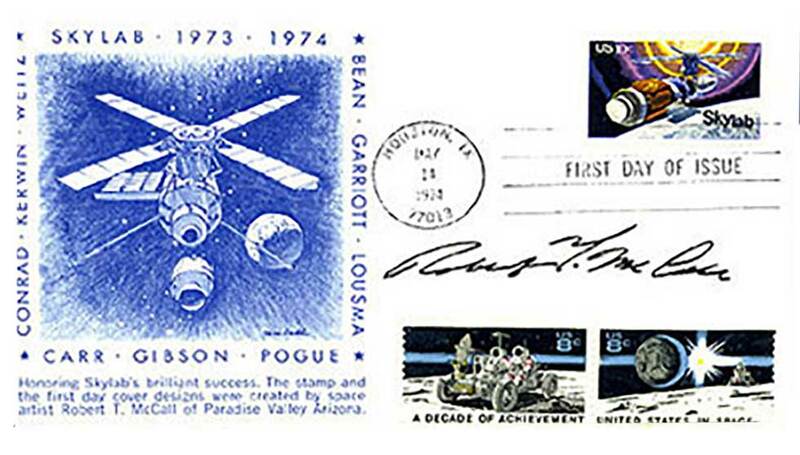 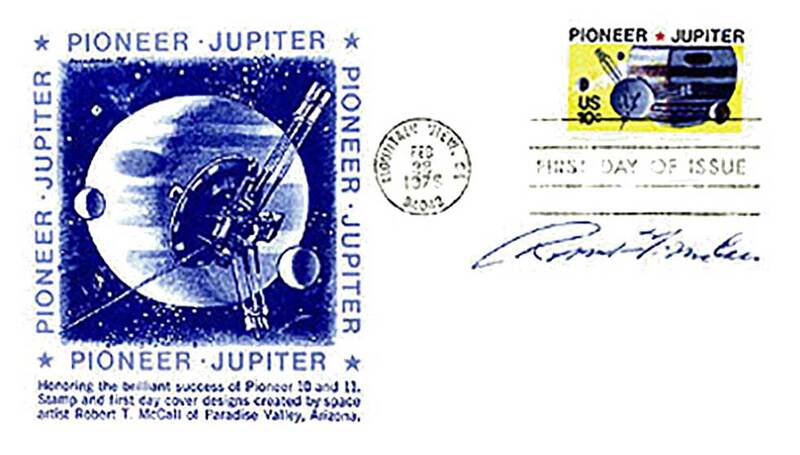 The commander of the ship, astronaut David Scott, canceled a set of these stamps on the Moon in front of a worldwide television audience, commenting at the time that he had thus become “the first postmaster in space.” Back at Mission Control, in Houston, was none other than Robert T. McCall, who sketched the event from the big TV monitor. 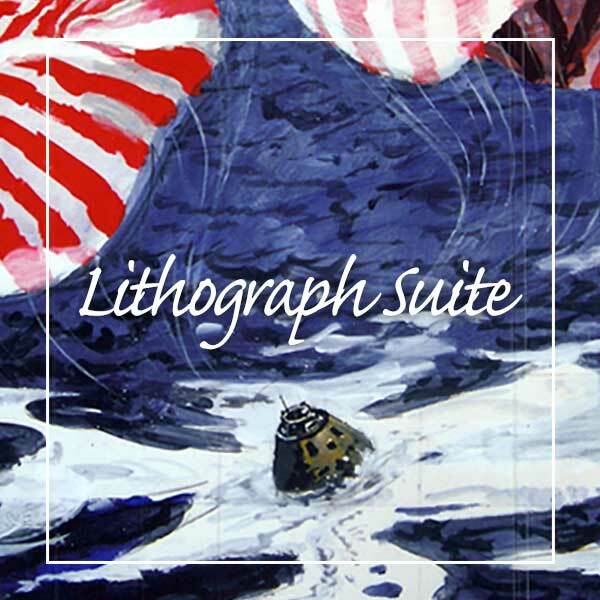 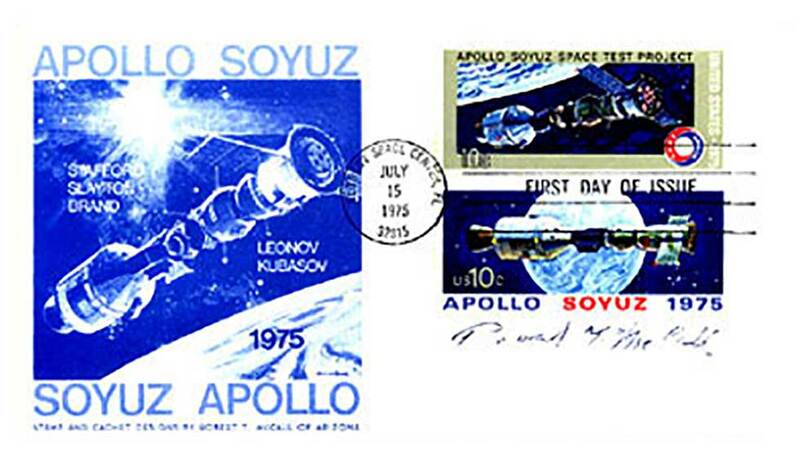 Over the next ten years, McCall painted stamps for the Pioneer spacecraft flyby of Jupiter, for the Skylab mission (spacesuit downstairs), and for the Apollo-Soyuz joint US-USSR mission. 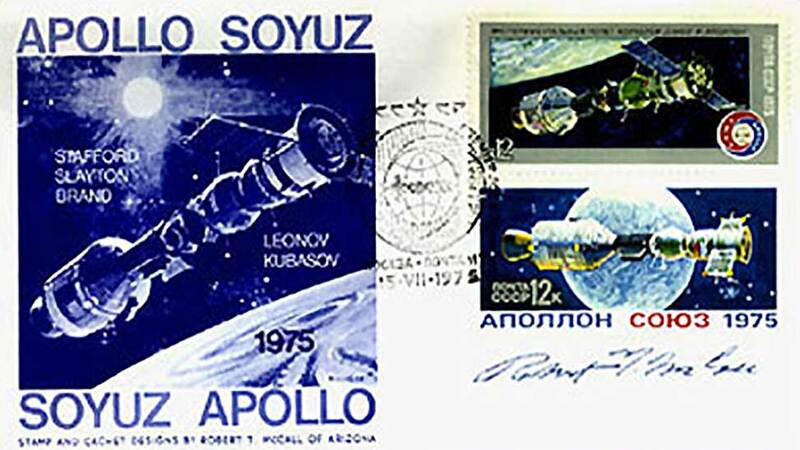 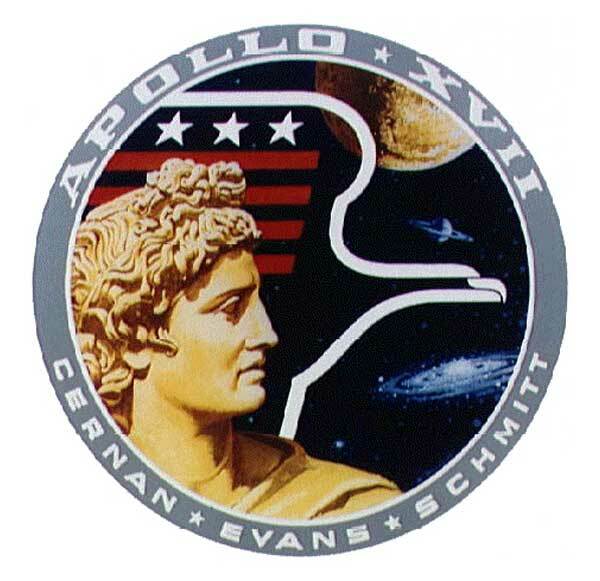 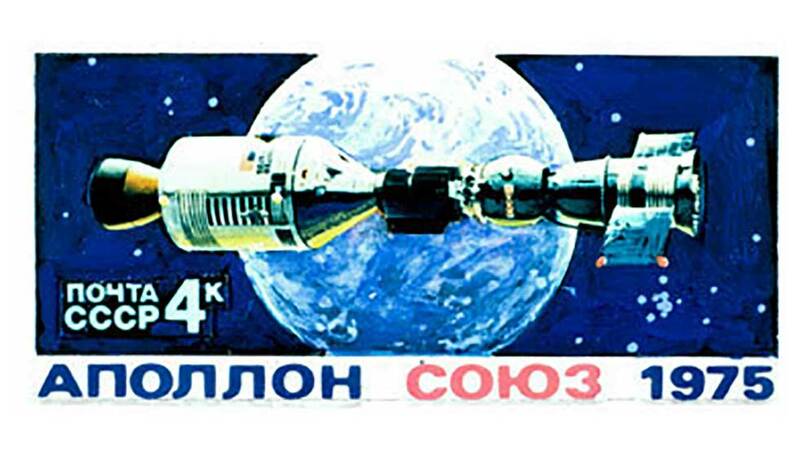 The Apollo-Soyuz stamp was the largest postage stamp ever published in the United States. 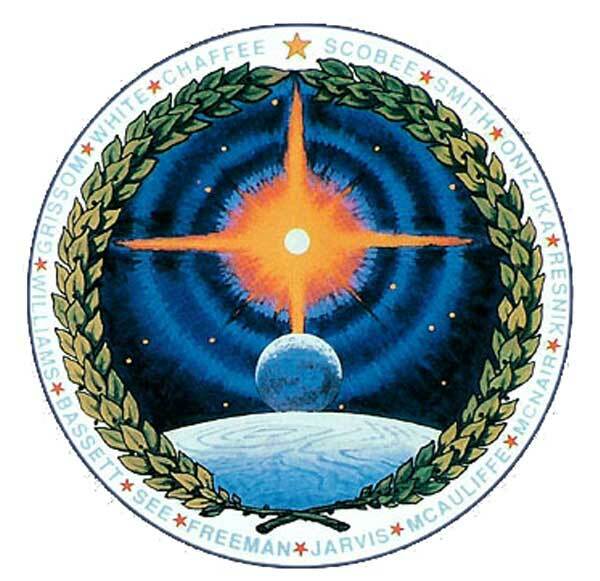 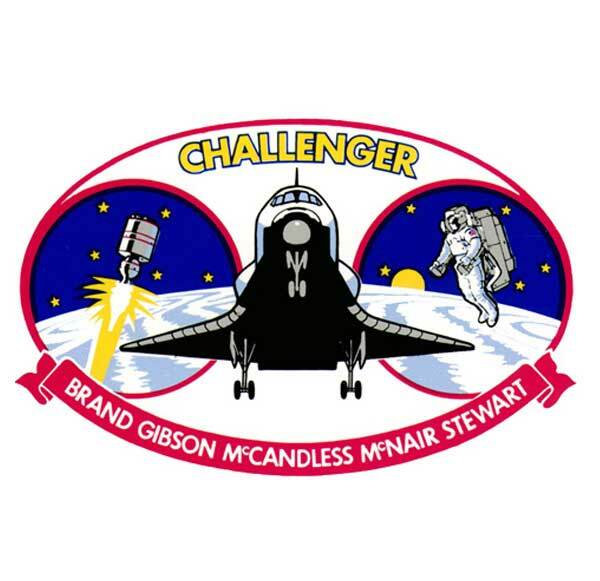 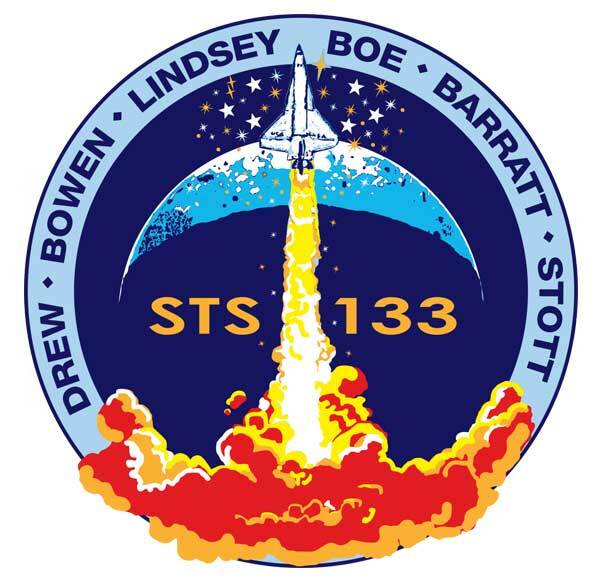 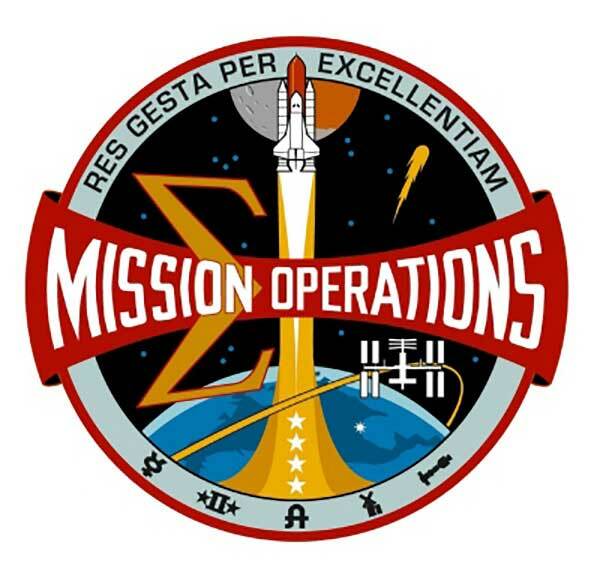 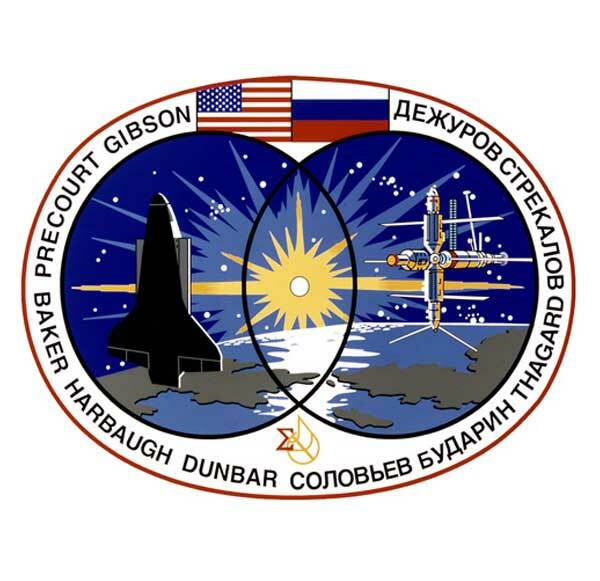 As background for the task, McCall worked with both the American astronauts and the Russian cosmonauts who trained for the flight. 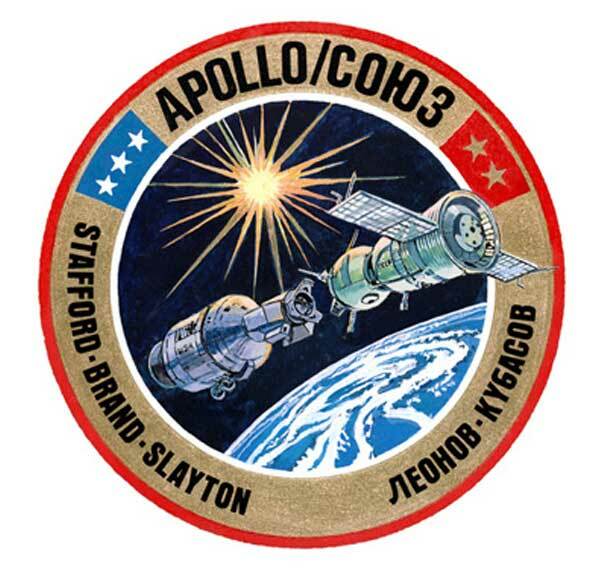 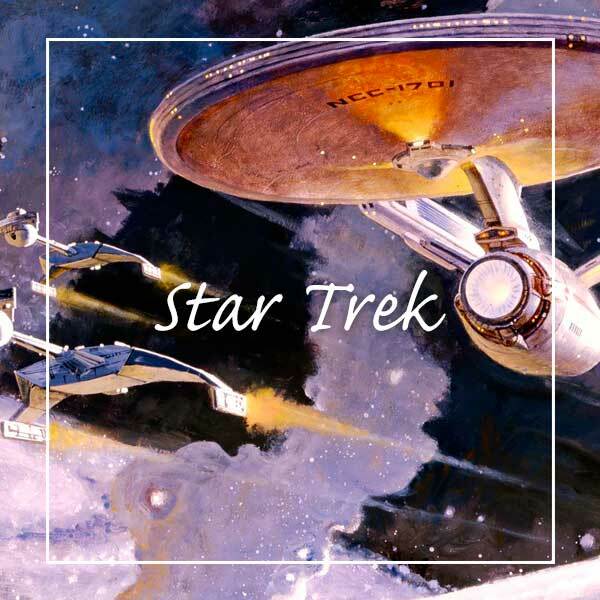 Cosmonaut Alexi Leonov, himself a painter of space scenes, became a close friend of McCall’s. 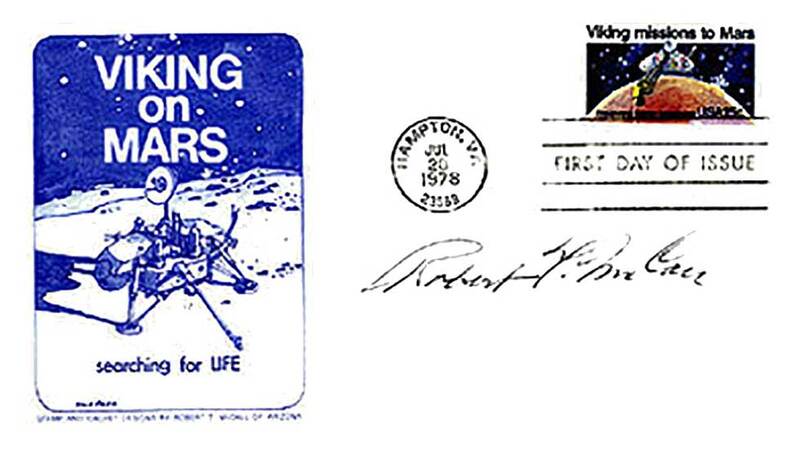 Shortly after Apollo-Soyuz, the Viking spacecraft touched down on Mars, and it was Robert McCall who painted the commemorative postage stamp. 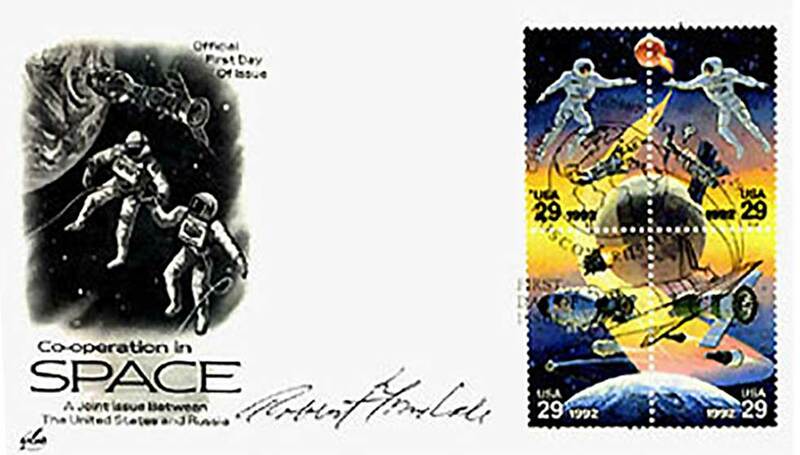 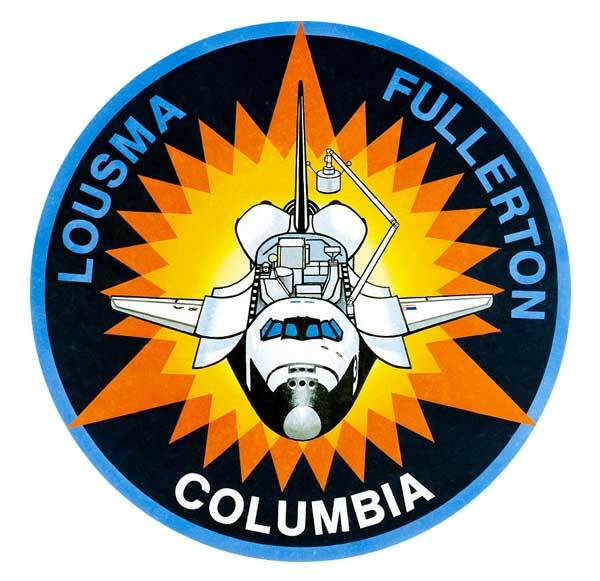 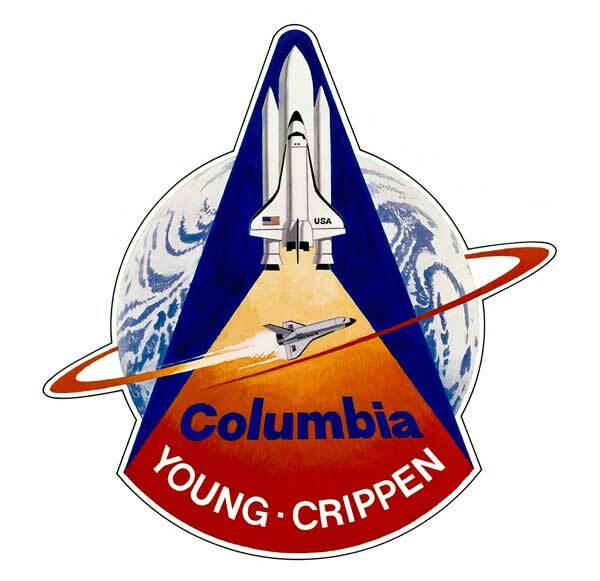 Then, in 1981, when the Space Shuttle Columbia made its first flight into orbit, McCall painted a set of eight stamps celebrating the event. 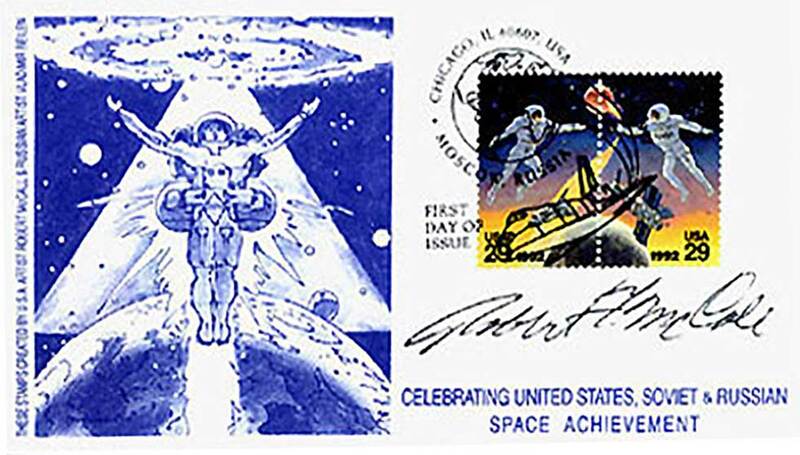 Given his lifelong fascination for the men and machines who fly, working on the Shuttle stamp was an assignment he carried out with great personal joy. 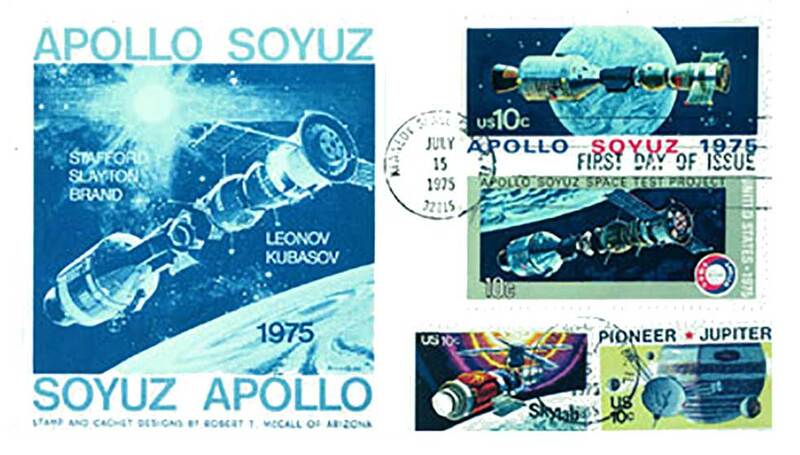 McCall has designed 21 U.S. Space postage stamps and one featuring the Hispanic Medal of Honor Winners.